You and I need to go book shopping together. Period. I was lucky enough to receive this book for my birthday recently from a lovely friend, and after reading your review, I am even more excited! I've seen this book in my library so often. I thought it was no good because I never see it checked out :D. I should not judge so quickly, I think. Nishita - I guess the book could sound absurd only from the blurb, and so it has no takers. :-( But that means you can, right!? I will give it a try. Not much of a fantasy reader. But the synopsis sounds tempting. It sounds like a really unusual urban fantasy novel. The only books I've read that feature golems are Mur Lafferty's The Shambling Guide to New York City and R.L. Naquin's Golem in my Glovebox. I'm very happy you enjoyed this book too, even if the magic only happened for you at the end. Better late than never. I found the dialogue between the golem and the djinni quite interesting. The author mentioned a possible sequel for the book (in a goodreads Q & A), how do you feel about that? Vilia - it is! And now that I am totally intrigued by golems, I'll try those books you mentioned. Thanks! I'm planning to read this book, so I just skimmed your review. I don't read a lot of books with magic realism, but always willing to give something a try. Nice review, Priya! I loved your description of how you fell in love with the book gradually. I would love to read those conversations between the golem and the jinni. 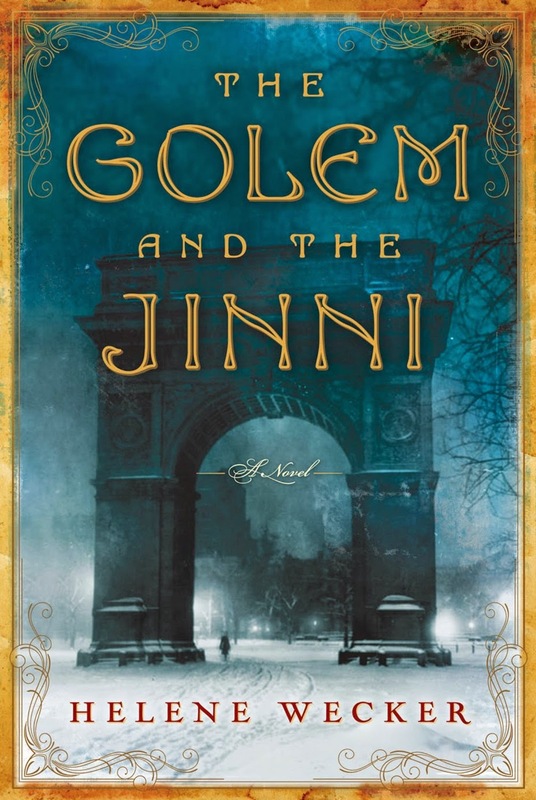 The real-world analogy of the golem and the djinni is quite fascinating to explore.